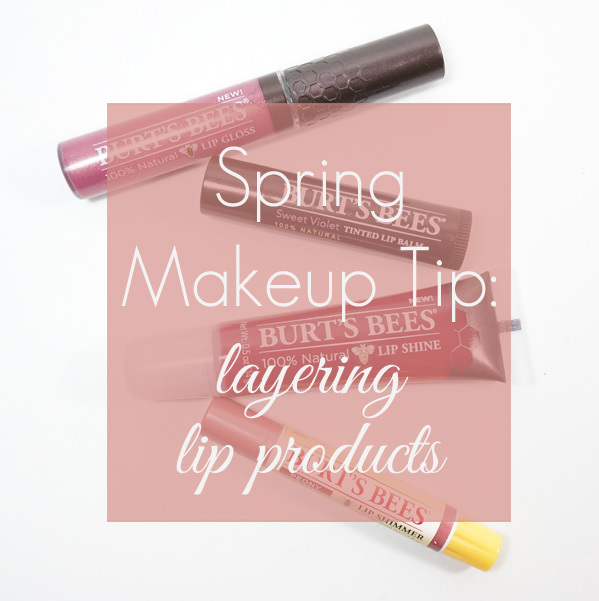 Spring Lips with Burt's Bees. I am so happy that spring is finally here. With spring comes an entire new wardrobe of spring lip colors and I am obsessed. From lip balms to glosses and everything in between, there is one unexpected brand that has my lips covered in the prettiest spring shades and that is Burt's Bees. 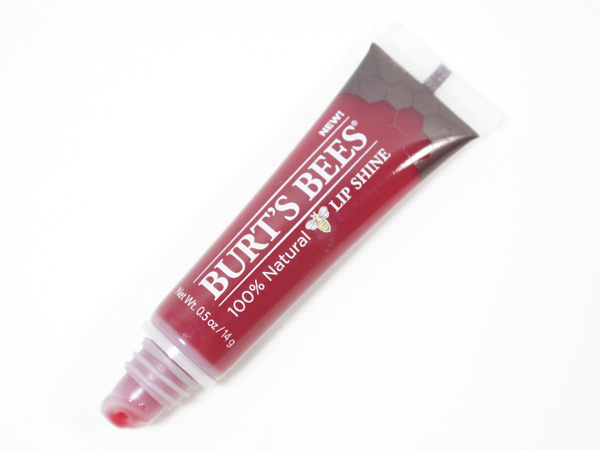 Most widely known for their original beeswax lip balm, which is on my desk, Burt's Bees also has a complete line up of amazing lip products. To be honest, until now, I had only used the lip balms, both the original and the tinted lip balm, which is often in my hand bag. I was pretty excited to test out the rest of the line up. Take a look at all of the Burt's Bees Lip Color offerings. This 100% natural tinted lip balm is very moisturizing as it is made with botanical waxes and Shea butter. I love the light tint and smooth feel when I glide it on over lips. Available in nine shades: Honeysuckle, Caramel Daisy, Blush Orchid, Petunia, Pink Blossom, Hibiscus, Rose, Red Dahlia and Sweet Violet (pictured). This is a 100% natural lip shine in a tube that leaves lips with a high shine and hint of color. I love the glossy look and feel and subtle color. Lips are nourished and left soft with the addition of sunflower seed oil and apricot wax. Available in six shades: Blush, Flutter, Whisper, Wink, Pucker (pictured) and Smooch. This is a 100% natural lip shimmer in a slim stick form that actually gives lips a soft sheer glow kissed with an invigorating peppermint flavor just like the original lip balm. Enriched with coconut and sunflower oils and Vitamin E, lips are left moisturized as they are left pretty. Available in 14 shades: Champagne, Fig, Plum, Peony (pictured), Caramel, Cocoa, Raisin, Cherry, Apricot, Grapefruit, Rhubarb, Watermelon, Strawberry and Guava. The 100% natural lip gloss leaves lip with color in a pearl finish. The glossy shine comes from natural oils which also makes lips feel very soft and smooth while wearing. Available in 12 shades: Autumn Haze, Fall Foliage, Sweet Sunset, Sunny Day, Ocean Sunrise, Rosy Dawn, Spring Splendor (pictured), Summer Twilight, Evening Glow, Ruby Moon, Nearly Dusk, Starry Night. I have a super easy makeup tip to share and it will change the way you think about your lip products. The tip is to layer your lip products to get a varying result. For instance, a lip balm will make a great base to prime and smooth lips before gloss. 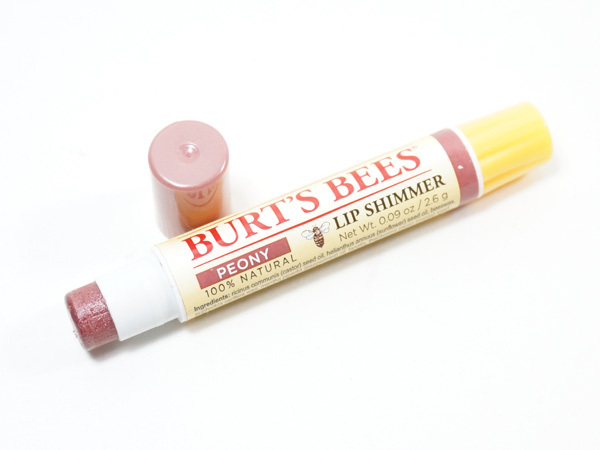 In using the Burt's Bees lip products, I found that I really liked using the Burt's Bees Lip Shimmer in Peony with the Burt's Bees Lip Gloss in Spring Splendor on top. Notice the intensity of the colors when layered together. The result is not only deeper, it is a longer lasting deeper lip color as well. As there are so many lip color shades available, it is sometimes difficult or confusing to pick just the right shade. To make it super simple, Burt's Bees has a handy Lip Shade Finder tool that is really easy to use. All you do is go to the tool here: Lip Shade Finder and answer 4 straight forward questions to find suggestions. My shade suggestions were spot on. Burt's Bees Lip Colors are available at your favorite drugstore or mass retailer. Disclosure: This post was sponsored by Burt's Bees through their partnership with POPSUGAR. While I was compensated by POPSUGAR to write a post about Burt's Bees, all opinions are my own. YSL Babydoll Kiss & Blush.